Jerry’s Lawn Mower takes pride in selling quality lawn equipment to simplify and speed up your yard duties so you have plenty of weekend left to do the other things you enjoy. We have a wide range of brands to choose from and both new and used equipment. Call or stop by today and we’ll be sure to help you find what you need! CLICK HERE TO SEE WHAT WE HAVE! Need your lawn equipment repaired? We work on most types of small engine lawn equipment including generators. We employ FIVE factory trained and certified mechanics! Our mechanics attend training every year so they stay up to date on the rapidly changing products in our industry. We are a factory authorized warranty center for many lawn equipment lines. Looking for replacement parts? 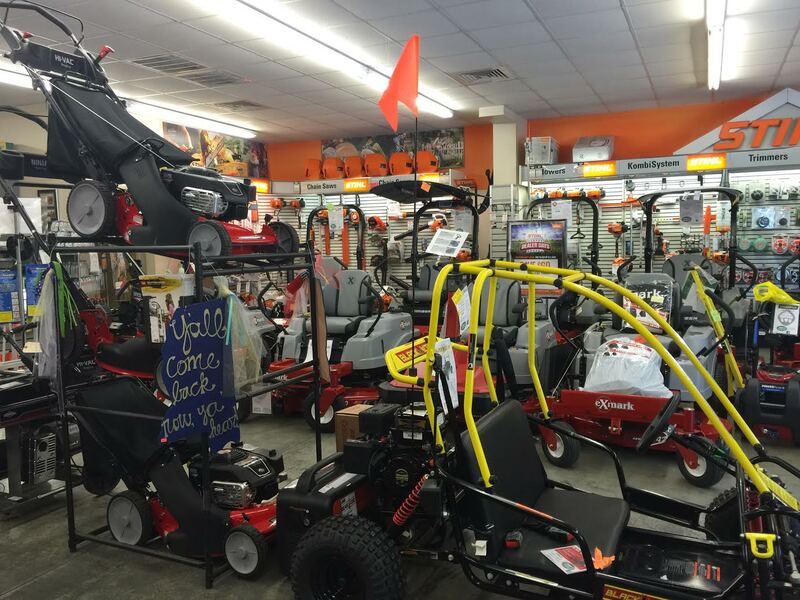 We carry the largest stock of lawn equipment parts on the Gulf Coast, so chances are good we have what you need! If we do not have it, we can likely special order it for you. We have two full time parts representatives and plenty of floaters for the busy season! Bring or email us your model number and we’ll find your part! Jerry Favre, started this business in 1971 by taking in a few mower repairs when he was temporarily laid off from his welding job at the shipyard. He had a love for and a natural ability to fix any kind of engine. Click below to read the rest of the story!